Father’s Day is so much fun because we get to show Dads how much they mean to us! 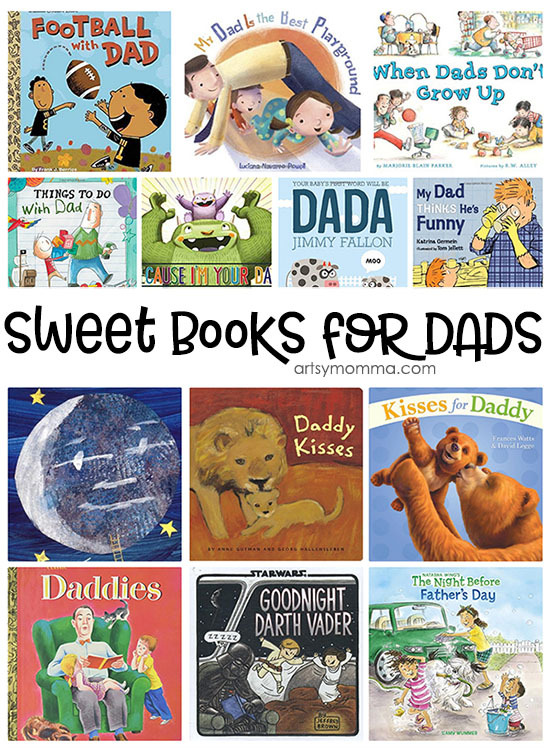 In this post, we share with you a list of awesome books for kids to read with their dads! There are fun and sweet Father’s Day books for different things. We have book suggestions for bedtime, playtime, storytime, and daddy and me time – plus a few silly ones! Daddy and me time is tons of fun! My grandpa was my father figure and I have so many wonderful memories of things my brother and I did with him. Whether it’s fishing, going to a sports game, or fun at the park, these kinds of days are sure to create lasting memories. Dads are sometimes still a kid at heart, and these playful books are perfect for them to read with their children. Looking for a few book suggestions for quiet time? These adorable books are filled with love and sweetness making them great for cuddling. 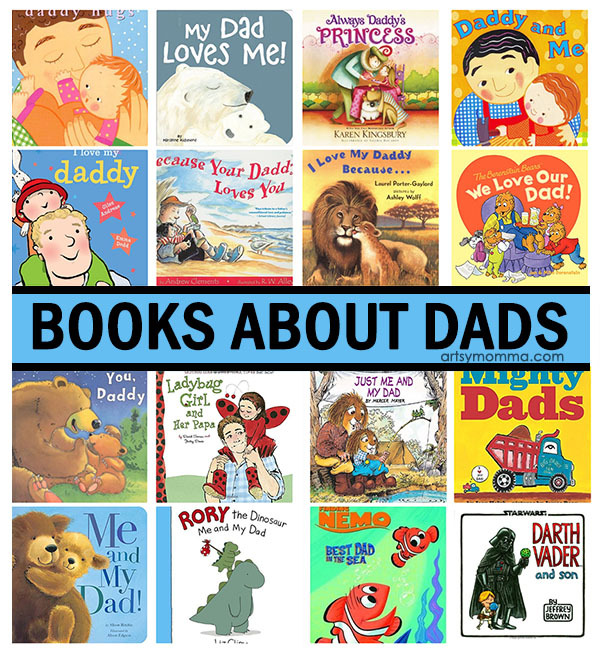 Two of my favorite books about dads are Papa, Please Get the Moon For Me by Eric Carle and Kisses for Daddy . The books featured below are perfect for reading right before bedtime. These Father’s Day books also make great gifts for the kids to give their dad or for a 1st Father’s Day gift for someone you know. Looking for a few craft ideas too? Check out this Super Hero Dad round up and this awesome list of printable Father’s Day handprint crafts.